Americans have been crazy about ice cream cones since they’re invention in 1904. 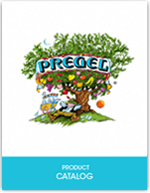 The same subtle sweetness and delicate crunch of the long beloved cone is now available in PreGel’s new Cake Cones. 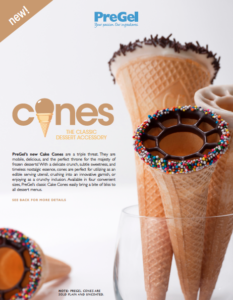 With the iconic wafer pattern and timeless appeal, these Piccola cones are the ultimate edible serveware and bring a bite of bliss to all menus.